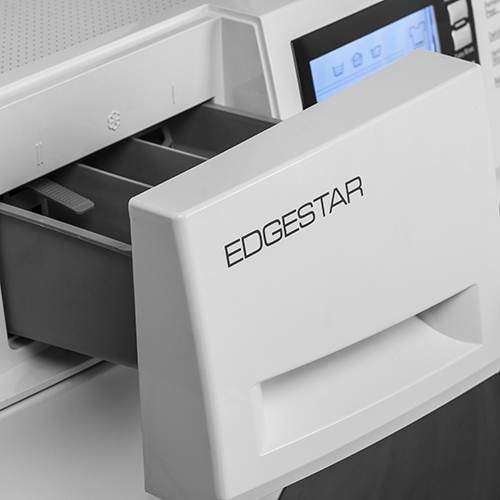 This Edgestar model of washer dryer combo is a great and modern space saver for every home. 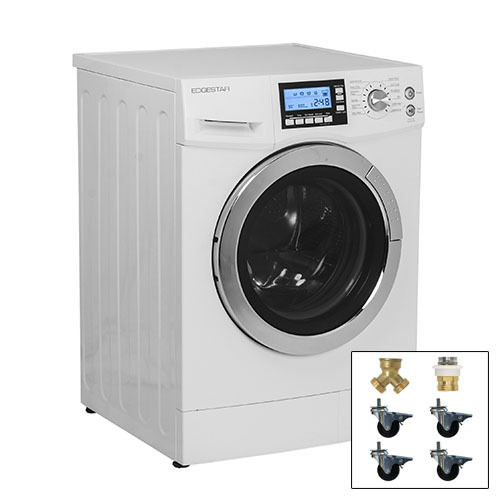 Fast-dry technology for drying, top-notch settings customization and built-in water heater are only a small portion of the features the Edgestar CWD1510WPORTK has. So, it’s no wonder why this combo is among the most efficient and versatile combo units available on today’s market. 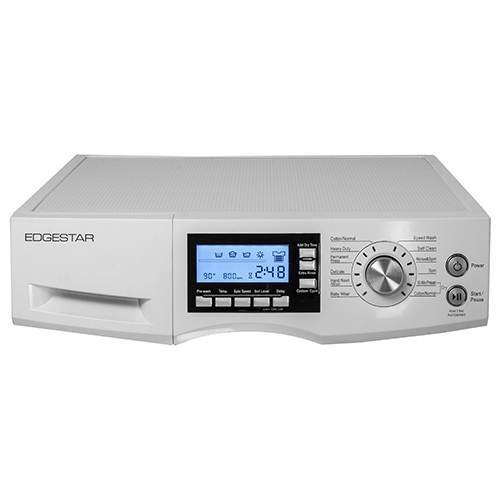 This model is actually a lot similar to the EdgeStar CWD1510W. The main difference is in the portability kit. Below are the main details. Capacity (cu.ft. ): 2.0 cu. ft.
15 lbs. 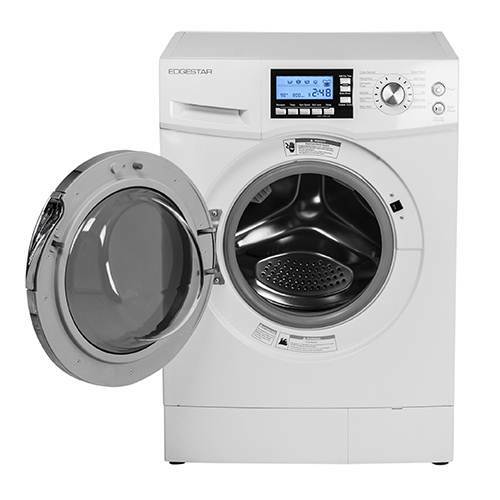 wash capacity and 7.71 lbs. dry capacity. All in one combo – great for homeowners that lack space for accommodating full size units and proper ventilation. 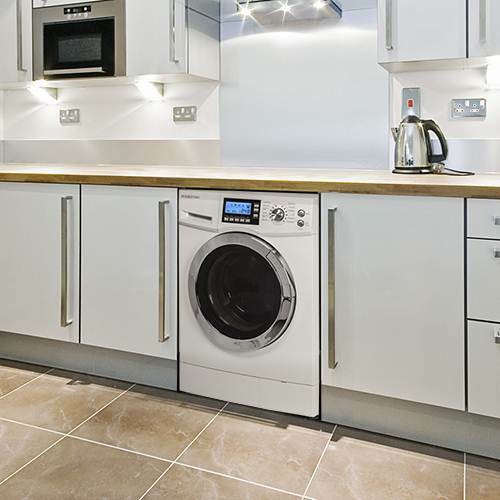 Ventless FastDry technology for drying – providing top-notch effectiveness since it uses forced cyclonic airflow technology that reduces the drying time. Spin Speed Range – from 400 RPM to 1200 RPM. Custom Cycle – once the settings are modified, you can save your favorite cycle on “custom cycle”. Led Display that makes this unit easy-to-use. Adjustable spin time of just nine minutes and fully integrated water heater that quickly and efficiently heat water to high temperatures. Portability Kit – including one quick connect faucet adapter, four durable locking casters, and one Y connector. 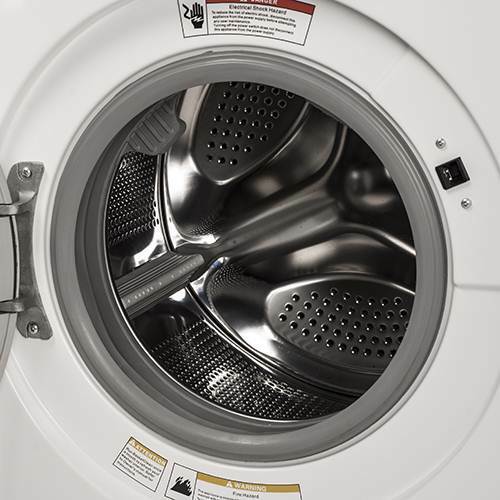 Programs and cycles – seven wash cycles, five spin speeds, three wash/rinse temperatures, three soil level settings, and self-cleaning settings that utilize extra high heat levels for removing buildup. Great cycle customization – custom settings for all cycles provide you the power to tailor great performance of any load. Warranty: 1 year parts & labor. Options: Custom Cycle, Soil Level, Extra Rinse, Spin Speed, Add Dry Time, Temperature, Delay, Pre-Wash.
Tray Dispenser: Triple compartment dispenser – fabric softener, bleach, and detergent. Materials: High-quality polyurethane tub, scuff-resistant textured workspace, chrome door rim, painted steel cabinet, plastic control panel. The clothes smell great and clean. Great unit for people who are limited in space. Easy to use due to easy setup. Auto Door Lock – if your kids are running around in your laundry room, they won’t open the door of this unit. Energy efficient and cleans tough stains. Cycles are quite long and vary greatly. The clothes often come out wrinkled. It’s not quiet and you can’t turn off the buzzer. The door might be locked for hours after the washing/drying cycle. There is no exterior lint trap for the dryer. The lint tends to collect around the rubber seal and you have to empty that once a month depending on the frequency of use. The clothes need to be free to tumble in order to dry completely. Fill only half of the drum if you’re going to use the dry function. 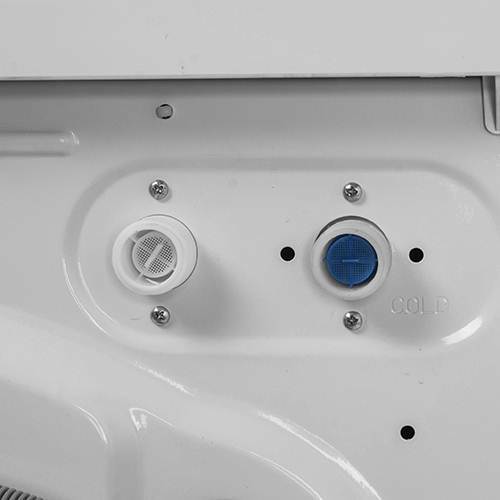 Noisy water pump that expels the water from the machine – although active only intermittently during the wash and rinse cycle. Produces a bit of heat. Here you can find and compare user comments and prices from different online stores. Just a small advice – if you find a lot of positive reviews and some negative ones, it usually means that the complaining people don’t use the machine properly, or received some defective piece. Conclusion: So, yes, as I mentioned in the introduction, this is practically the same combo unit as EdgeStar CWD1510W with a few differences. It’s totally up to you which model will you buy – the most important thing is that you can’t go wrong. Needles to say, consider the pros and cons prior purchasing. Unlike many people, Vesna enjoys spending time in the laundry room of her house. She is not a fan of strong perfumes, which is why she has learned plenty of smelly laundry tips and became a mad scientist when it comes to removing stains from clothing. In her spare time, you can find her drinking cappuccino on her balcony, watching French movies or eating chocolate when no one’s watching. 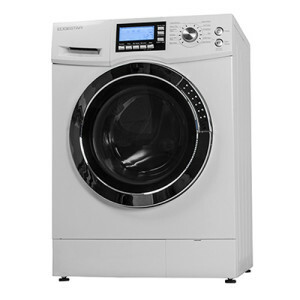 There's actually only one real option when it comes to a quality washer dryer combo on the market and it's this LG-WM3997HWA. I found out that most of the others have problems with drying clothes efficiently.